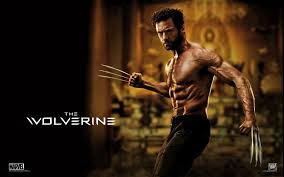 Loving that hubby won himself a free private screening for him and 40 friends to go and see Wolverine in the next few weeks, just by purchasing some Gillette razors. Now to find a date we can fit it in between now and our trip! And to see if we actually can come up with 40 people too! Now it's probably not a movie I'd pay to watch, but given we're being hosted in a premium cinema lounge with free drink and popcorn, it's a much easier decision! I dare you not to leak tears watching this beautiful moment. Oh my. You should all know I'm a sucker for anything mint chocolate by now. Mint Aero and Cadbury Mint Bubbly being my ultimate downfall. So you can imagine the excitement when I found these new mint Mallowpuff bites. In a word...sensational. And gone in one sitting. Love this cool video for kids that teaches them all about the different planets. Loving that it's getting light enough by the time I get home from my early morning exercise regime to take some photos other than deepest darkest night shots. Still loving that I also get to hang out with the moon (small wee white spot just above the middle of the trees) and Venus (small white speck to the top left) when I first get outside though. If you've been reading the blog these past weeks, you'll know I've been questioning a lot of things. Dreams vs reality and work/life balance for a start. It's been a full-on four months getting to grips with this new job and at times I've questioned if I'm actually where I'm meant to be. However, this week I got the extremely sad news that my previous company, Learning Media is closing down as they can't remain a viable business. You can read the news stories here and here. I had my concerns before I left that the future was looking tenuous, but it is no less shocking when you find out it has actually happened. What it did bring home to me was a whole lotta perspective in that I'm just so grateful to God for giving me the opportunity to move to my new role when I did. I am extremely sad for all the friends and ex-colleagues (100 people) who worked there as well as the implications of this on the wider education sector as Learning Media was an extraordinary company with far reaching ties into the education sector both here and overseas. Anyone who grew up in a Kiwi school in the last 100 years has fond memories of the School Journal (which has always been published by Learning Media) as well as the many other series of books like Ready to Read and First Stories (which both my kids have brought home from school and daycare to read). It really is the loss of an iconic Kiwi institution, and a sad day for NZ education. I also cannot imagine how I would have felt losing my job right now with the expense of an overseas trip just around the corner. So I am feeling incredibly blessed to be in the position I am in. And I want to acknowledge that His timing is, as always, spot on. So a bit of a solemn note to end on but sometimes that's life isn't. Life's not all sweetness and light and we're fooling ourselves if we try to make it so. It's just as valid to acknowledge that gratefulness can come from a sense of relief at something bad not happening to us just as when something great does happen. Oh wow that is sad news re Learning Media a big gap will be left in NZ education with this gone. PS Whoop whop for a private cinema with Hugh Jackman - totally worth seeing Wolverine for Jack alone. That is sad for nz. You also must try trade aids mint choc bar so, so good! Same thing happened to me! My old company just closed down a month ago, hundreds of employees lost their jobs all over NZ and Australia. Definitely made me stop and thank God for not being in that awful position. I am gutted for Learning Media. I am gutted for NZ children who will probably have very little education in a NZ context. Too many schools have no libraries or library funding in NZ and at least these schools could get these items free. I shudder how this will affect my school as the book resources bought come out of the same budget as all support staff wages (like all NZ schools) and more money has to be found for extra resources. This could mean hours slashed for support staff in the worse case scenario. But it is the history and the NZ stories that will be lost. I do hear the journal is staying in the meantime but we have no idea about the junior journal, ready to reads. Figure it out, connected etc.